Could you guess what I haven’t eaten for such a long time?! It‘s waffles! 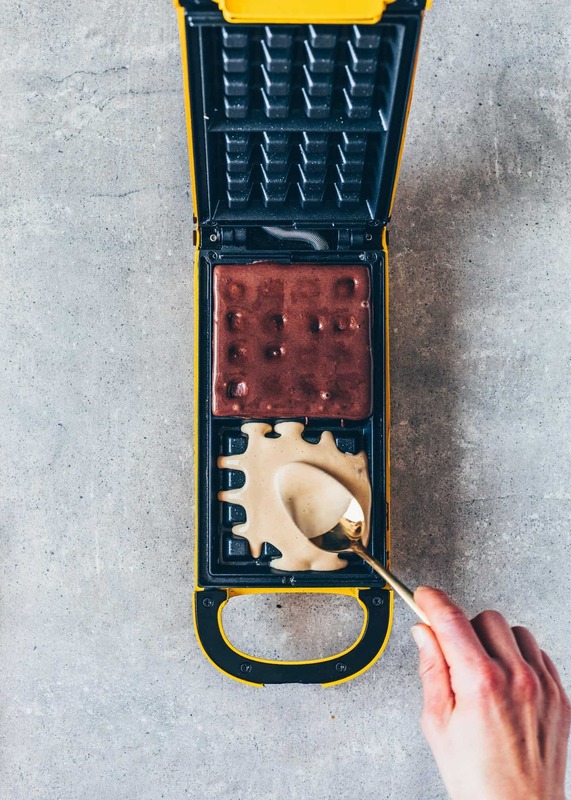 And that’s because I just couldn’t find a suitable waffle iron. But since Christmas it’s finally here! Meanwhile, I’ve experimented a bit to create a vegan waffle recipe which is just perfect for me. 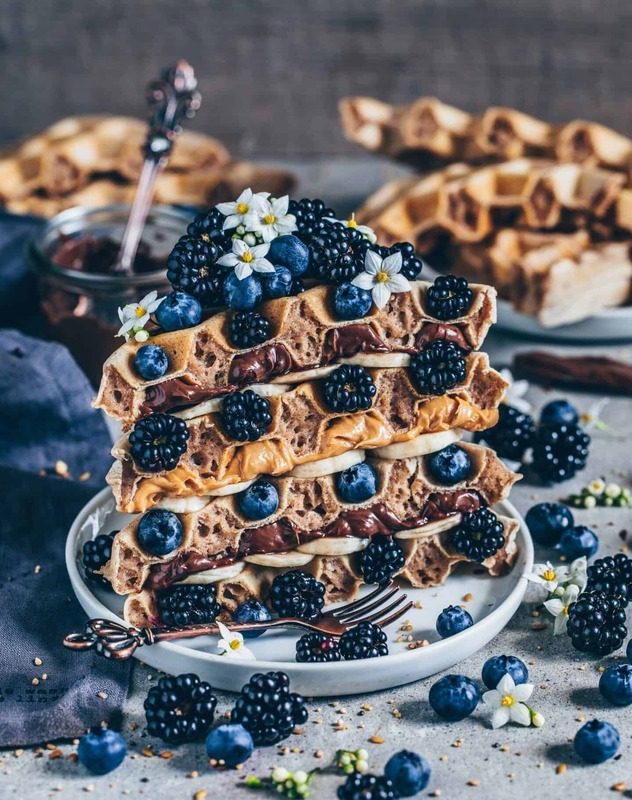 Of course, I don’t want to withhold this recipe from you because I think that waffles aren‘t only a super quick and healthy breakfast alternative to oatmeal, pancakes, crêpes or french toasts, but they’re also a great afternoon snack or a snack to take to work, university or school. 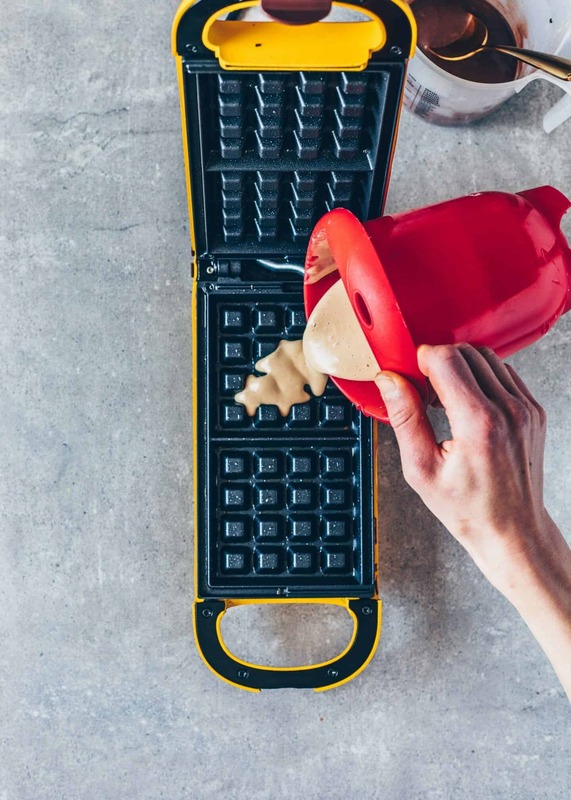 These waffles are quick and easy to make and you need only a few ingredients. Thanks to the natural sweetness of the banana, they can also be made without any white sugar. Incidentally, the banana doesn’t only ensure a delicious sweet taste but also a juicier consistency. It also serves to bind the dough and is therefore an egg substitute. Other ways to replace eggs can be found in this post: “fluffy pancakes“. For the dough I used spelt flour but you can also use any other flour if you want.Probably you’ll have to adjust the amount of liquid then because not every type of flour absorbs the same amount of liquid. 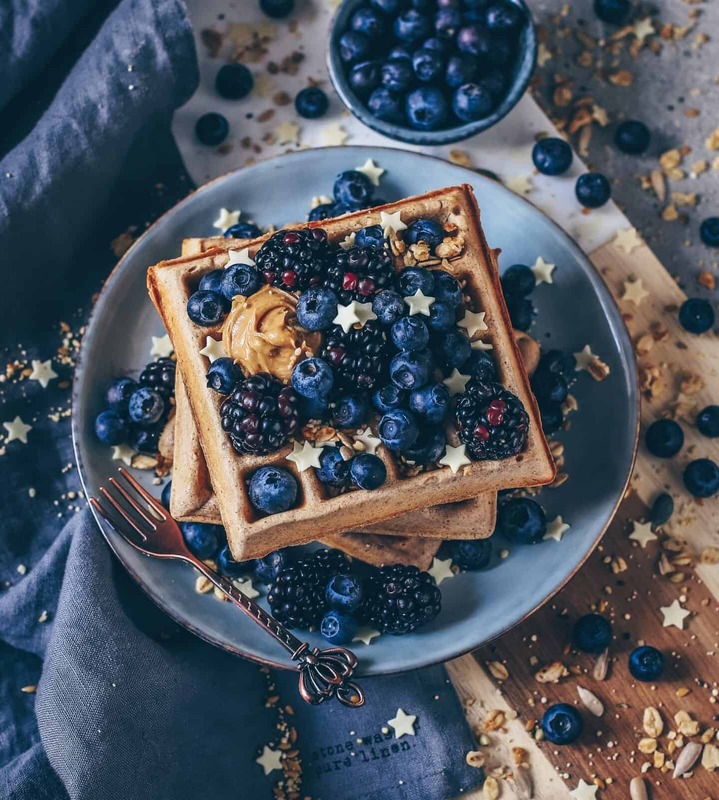 If I choose a sweet topping for my waffles, such as nut nougat cream or jam, then I usually don‘t add so much more sweetener to the waffle dough. 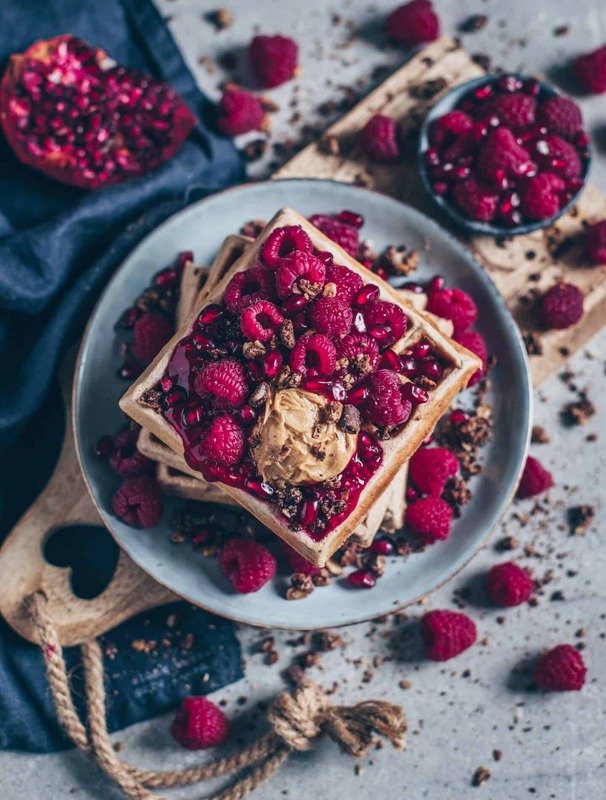 But if I only have berries and peanut butter or other nut butter as a topping, then the dough can be sweeter and I add some agave syrup. Of course, you can vary the sweetness and also use any other sweetener as desired. 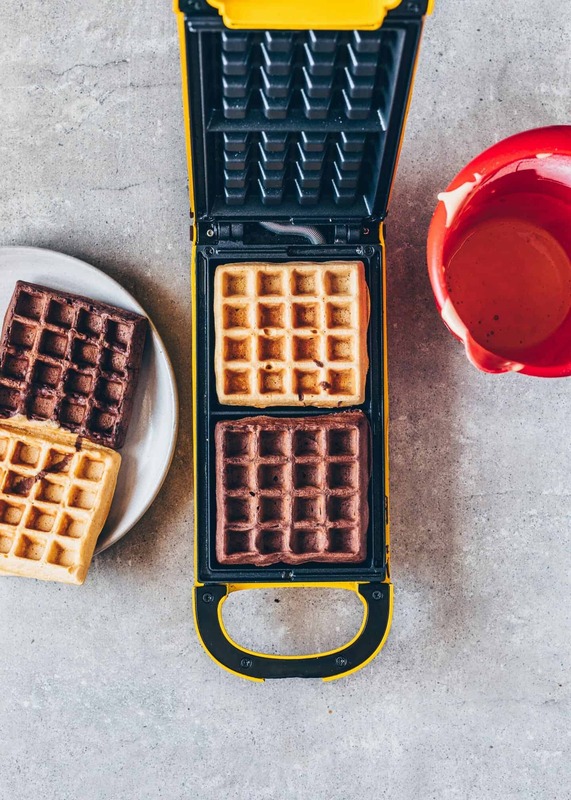 You can, of course, also make chocolate waffles with this recipe. Simply add 1 tablespoon of cocoa powder and a little bit more plant-based milk too the batter. 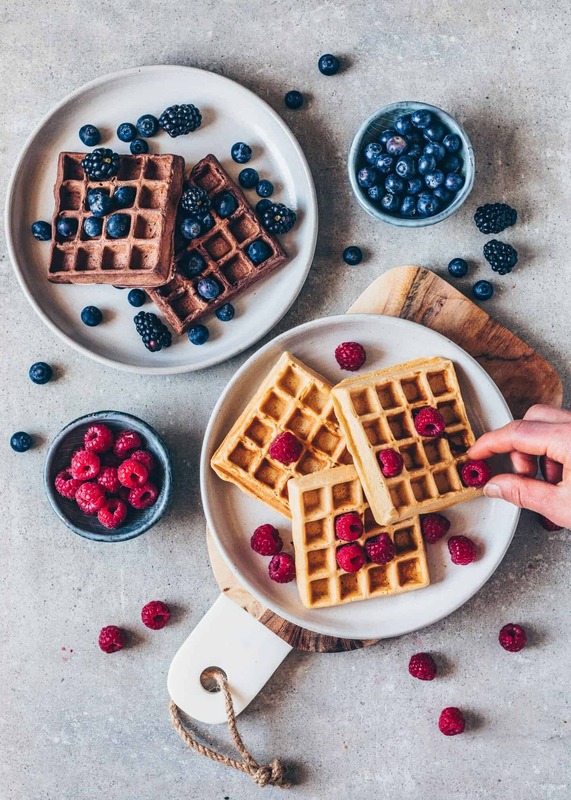 Anyways, I love this simple vegan waffle recipe and I‘m very sure that waffles will now be more often on my plate. In the summer maybe with a big scoop of icecream. If you try my recipe, I would be happy to read your feedback. First purée the banana and blend with plant-based milk, melted vegan butter (or coconut oil) and syrup to taste until foamy. Mix flour, baking powder, (vanilla, cinnamon) and sieve into the banana milk mixture. Add a sip of sparkling water and blend quickly and briefly to get a smooth, creamy and thick dough. Preheat the waffle iron and grease with coconut oil. 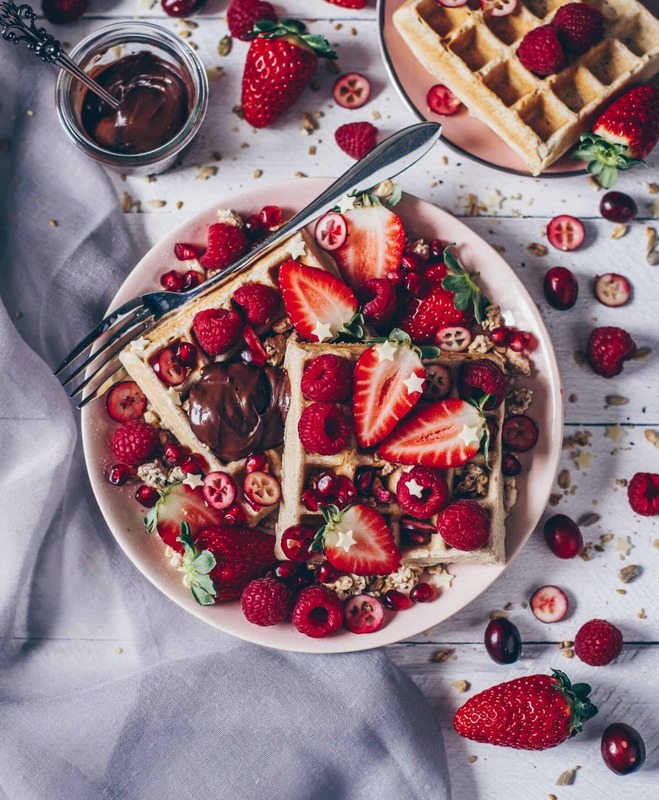 Serve your waffles with toppings of choice and enjoy! 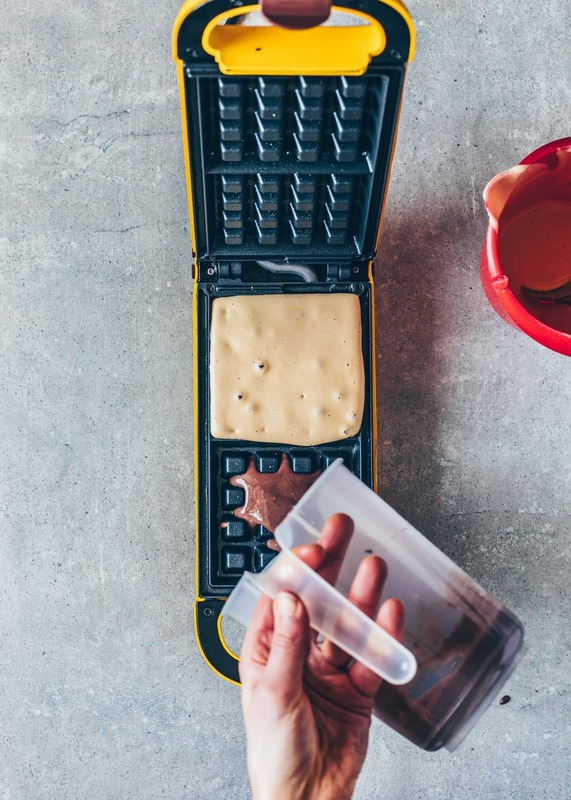 To make chocolate waffles, simply add 1 tbsp of cocoa powder and a little bit more plant-based milk to the batter. Instead of agave syrup, you can also use another sweetener of choice. 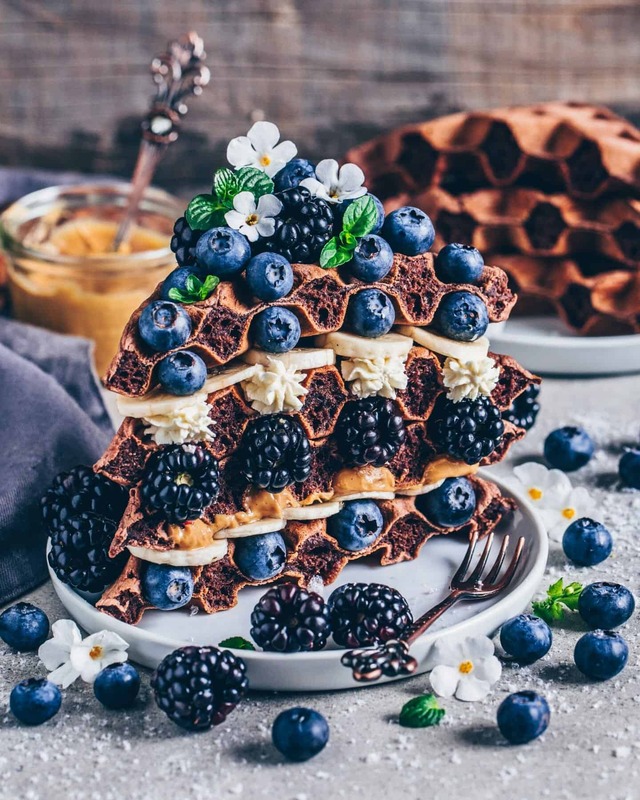 If you use full fat coconut milk to make these waffles, it is not necessary to add vegan butter or coconut oil to the batter. IF YOU HAVE PINTEREST, YOU CAN FIND ME HERE AND PIN YOUR FAVORITE PICTURE, IF YOU LIKE! Simple, easy and delicious recipes are my favorites ? It’s so good when you don’t need to spend hours in the kitchen. Thank you so much Dee! ??? What are the stars made from? These are sugar starts ? Thank you for sharing this amazing recipe with us! The waffles taste so good themselves that you basically don’t need any toppings at all. 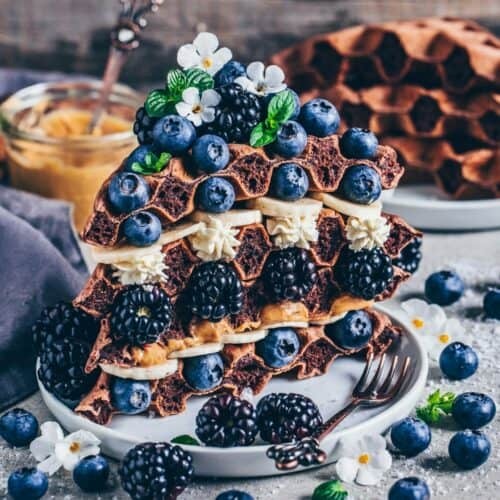 My mum and I are big fans of your vegan waffles and are excited to try more of your creations! So excited what you’ll try next. Hope you’ll like it, too! Second time making them. Awesome!